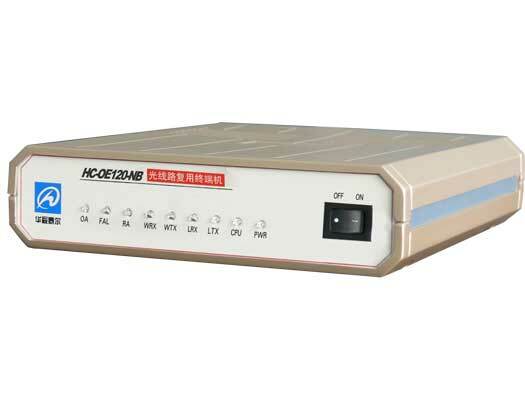 HC-OE120-NB Optical terminal OverviewThe HC-OE120-NB is a fiber media transmission device for Ethernet data. It provides both AC and DC power supply.For the Ethernet port, it uses RJ45 connector. The HC-OE120-NB is a fiber media transmission device for Ethernet data. It provides both AC and DC power supply. For the Ethernet port, it uses RJ45 connector. For the optical port, it can provide multi-mode or single-mode optical transceivers, Using the different optical transceivers, the data can be transmit from 20Km up to 120Km.